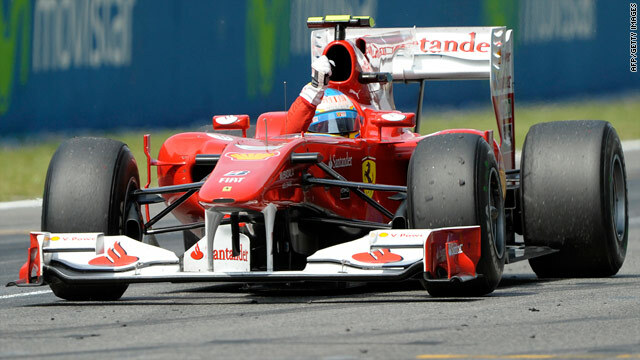 Fernando Alonso finished second at the Spanish Grand Prix with the assistance of an f-duct system in his Ferrari. (CNN) -- A controversial car modification pioneered by McLaren will be banned for the next Formula One season after the rest of the teams voted against it. The f-duct aerodynamic system, which channels air flow to allow vehicles to go faster on the straights, has also been adapted by Ferrari. However, concerns have arisen about how the feature is operated, with Ferrari's version requiring the driver to open and close a hole in the cockpit with his hands -- meaning less control over the steering wheel. McLaren unsuccessfully tried to convince the other teams at a meeting before Sunday's Spanish Grand Prix, won by Red Bull's Mark Webber, that the innovation should not be barred. The Formula One Teams Association told CNN that the decision was part of a package of measures that will be forwarded to motorsport's governing body, the FIA, for ratification. A FOTA spokesperson said details of the other recommendations would not be made available at this stage. Red Bull boss Christian Horner outlined his opposition to the f-duct system. "It is a clever piece of engineering and hats off to the guys who invented it, but some of the solutions this weekend look a bit marginal when you see drivers driving with finger tips and no hands," he said in quotes carried by Autoweek.com. "So I think there is a safety issue and a cost issue to take into account." At the weekend, Ferrari's Fernando Alonso, who finished second in Barcelona, denied claims that he had to drive with his hand off the wheel, saying he has a pad sewn into his left glove to close the air hole. "In the simulator we practiced with this method so that now it is automatic. But in the future we will find a more comfortable solution for the drivers," he told France's Auto Hebdo. However, Mercedes chief Nick Fry also backed the banning of the system, according to Autosport.com. "I personally think that it is sensible to nip in the bud technologies that, on the face of it, don't really have a relevance for use outside of F1," he said. "By the end of the year I know we, and I am sure most of the other teams, will have an F-duct on their car -- and that neutralizes the advantage of having it. "The engineers have already come up with ideas for next year that are zany in the extreme, and it is difficult to see how they would be used elsewhere. Plus they would be expensive. "What we should be encouraging is stuff that we can be using elsewhere, and I am personally a big proponent of KERS because of that." Kinetic Energy Recovery Systems were used to great effect by McLaren and Ferrari last year, while Renault and BMW Sauber also used the technology. It was banned for this year, but some teams hope to have it reinstated for 2011. Earlier this year, the F1 teams voted to ban the double-diffuser system from next season. Brawn successfully used it at the start of 2009 to gain a big advantage which led to it winning the world constructors' title and also the drivers' crown for Jenson Button.